We are excited to announce our team of agents that have made it into the CENTURY 21® Heartland Region Top 100 for October 2018! 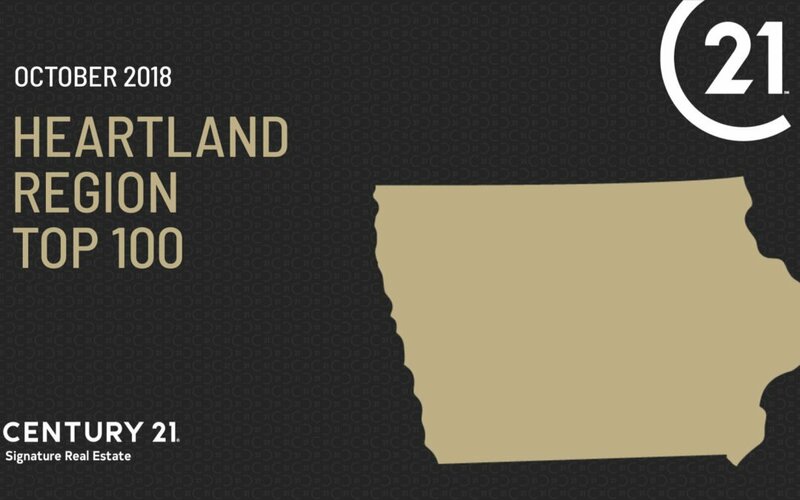 The Heartland Region consists of Illinois, Iowa, Kansas, Missouri, and Nebraska; the Heartland Region ranks all agents within the CENTURY 21® system based on AGC in the year so far. Congratulations to the 40 agents from CENTURY 21 Signature Real Estate in central Iowa that made it into the Top 100! Century 21 Real Estate LLC Individual Producers by AGC. These rankings reflect 2018 transactions with a close date of 9/31/2018 and a paid date of 010/04/2018.